Half acre to mow? No worries with the 220AC AutoMower. 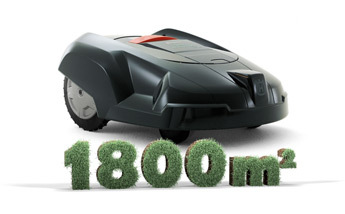 The 220AC Automower does a first-class job even on lawns with a complicated shape. Simply outline the area you want mowed...press a few buttons (to tell the automower when you want it to mow) and Job Done! It is that easy! It even manages its own charging requirements...automatically! Freight cost is $60* for metro areas Australia Wide, price may differ to rural and remote areas. Free Store Pickup also available!